Moog has engineered a new line of end links to enhance durability and performance. 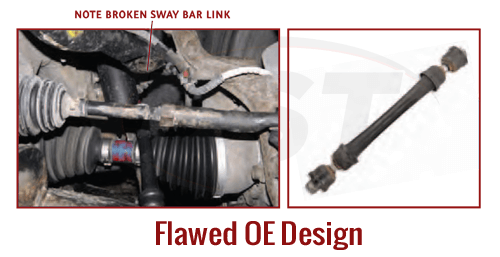 Moog's Problem Solver sway bar link kits have raised the bar for OE replacement links. Targeting the easily corroded traditional non-socket style links, Moog has engineered a new line of end links to enhance durability and performance. 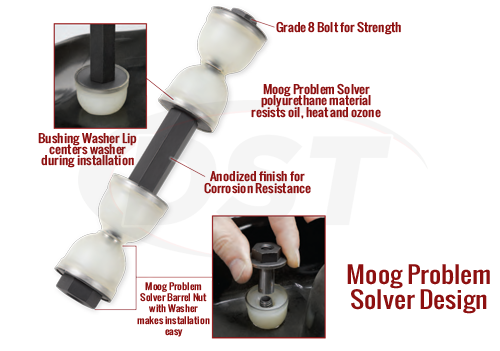 The entire line of Moog's Problem Solver end links are available right here at DST and include a lifetime warranty. 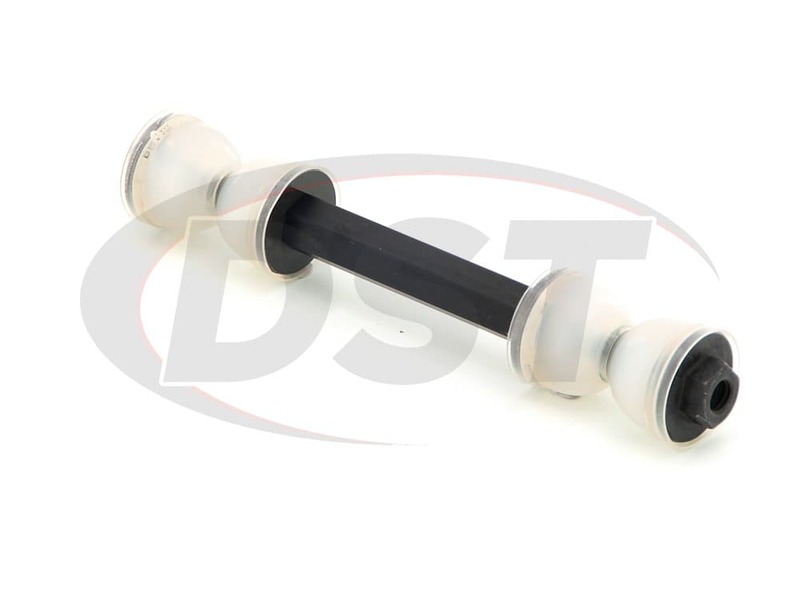 The traditional non-socket style sway bar link that is installed factory on vehicles is highly susceptible to early failure. 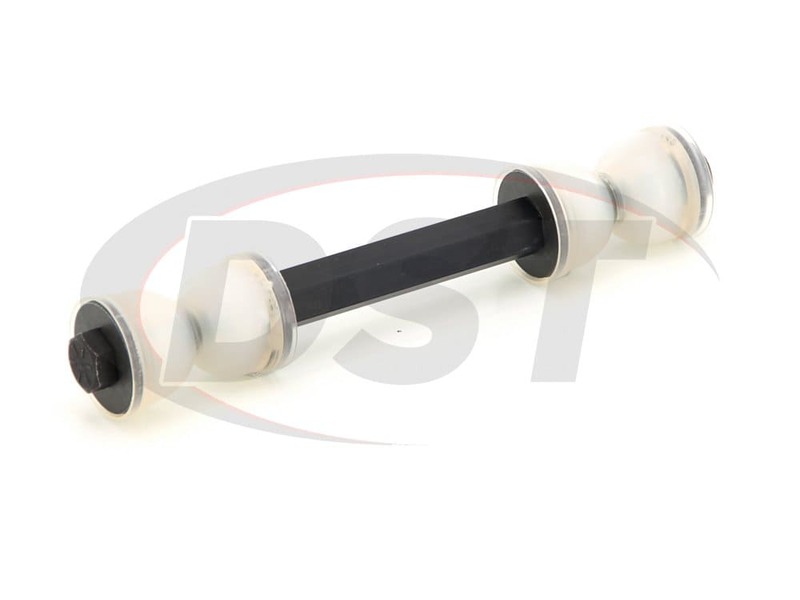 The OE design, as well as many aftermarket suppliers, use a small diameter bolt on the sway bar link. 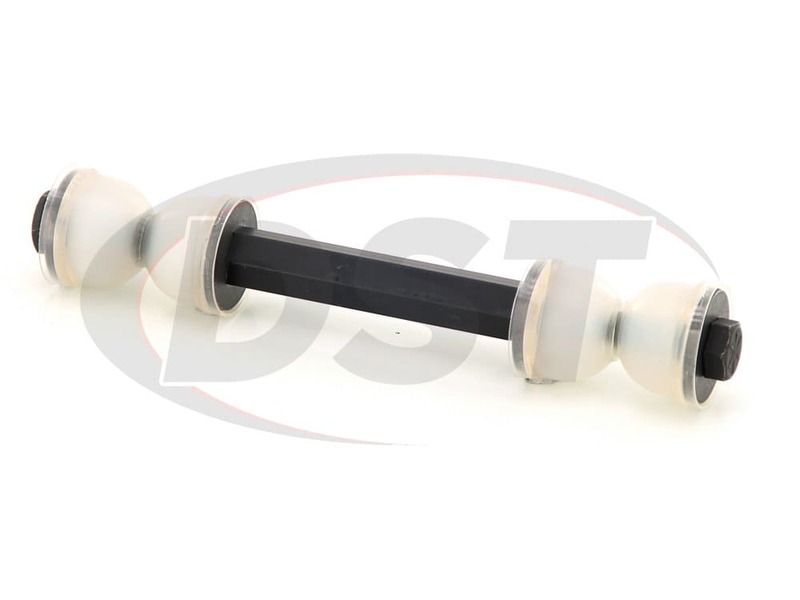 This small size bolt opens up the link to the damaging effects of road shock and corrosion. If the smaller bolt isn't bad enough, these links utilize neoprene bushings that do not stand up well to stress and weather conditions. Many suppliers also use a rolled steel sleeve which can allow harmful contaminants in, leading to corrosion and early failure. Moog's problem solver parts target factory defects or poor original design, replacing them with a better more durable part. Moog's sway bar link set provides enhanced performance and increased durability. 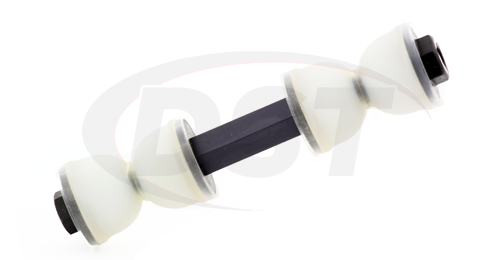 This new design includes polyurethane bushings. 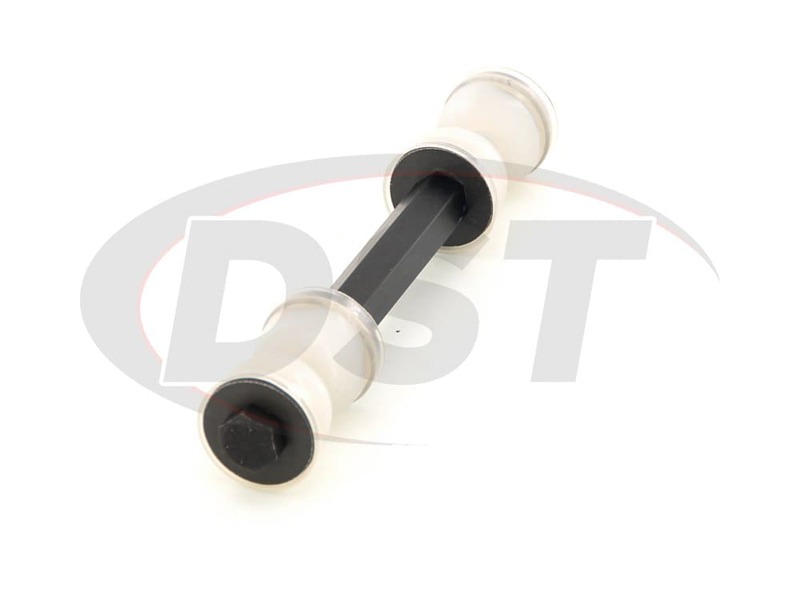 These polyurethane bushings are much more durable than the neoprene. 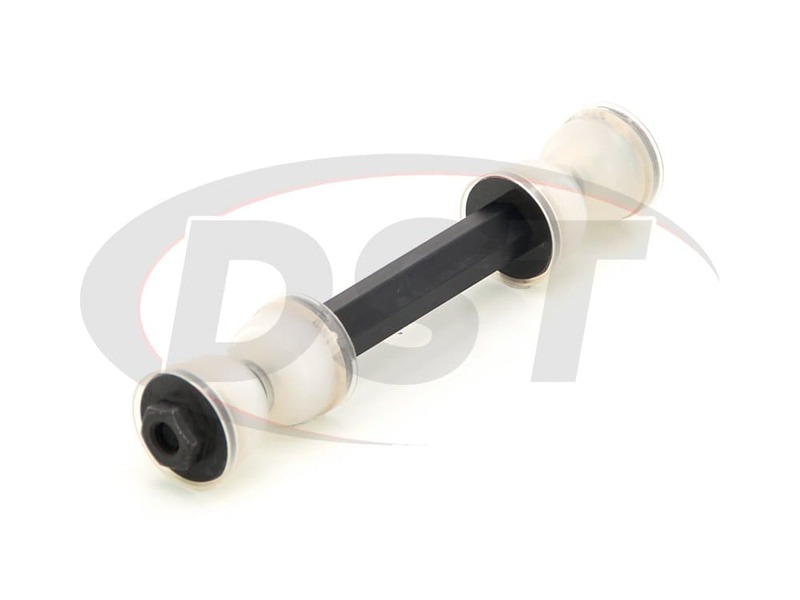 A black oxide 3/8" Grade 8 bolt provides increase strength and corrosion protection. Paired with a barrel nut that provides proper thread engagement, these "problem solving" end links are much easier to install. Nested washers are included to help keep the bushings centered during installation. The T6 aluminum hex spacer keeps contaminants out and is anodized to prevent corrosion. Moog has engineered several sizes of end links to cover numerous vehicles. 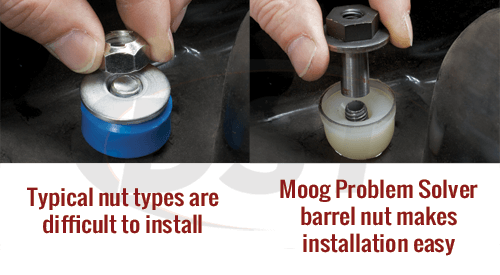 While the length varies depending on the vehicle, all of Moog's Problem Solver sway bar end links include these problem-solving features. Worked as advertised and installed easily. starstarstarstarstar" Easy install works well "
Really easy to install! My first time working on suspension and it was a piece of cake. Only hard part was is getting the old part off lol. Very pleased with the product! Does Moog Part Number k700536 include a Sway Bar End Link for the driver and passenger side? 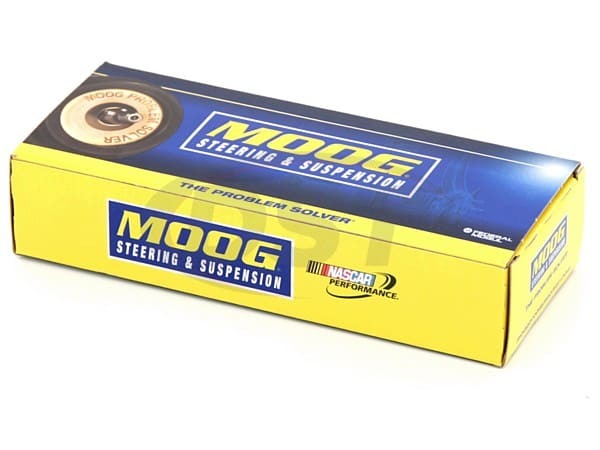 Moog Part Number k700536 only supplies one Front Sway Bar End Link each side has to be bought individually. Does part number k700536 fit the left and right sides? Also is it sold in pairs? Part number k700536 will fit both the left and right sides and it is sold individually. How long is this part? Part number moog-k700536 is 7 inches long. What is the bolt length of part number k700536? Part number k700536 has a bolt length of 7.0 inches.